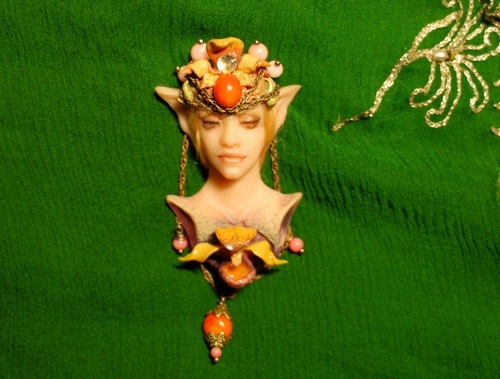 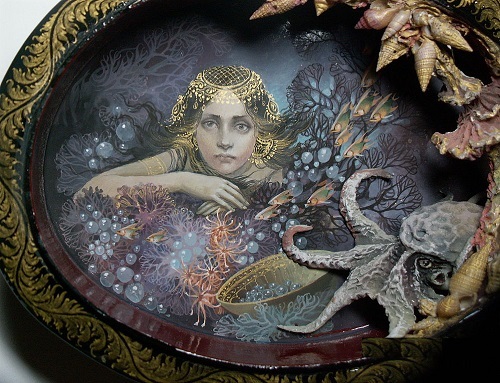 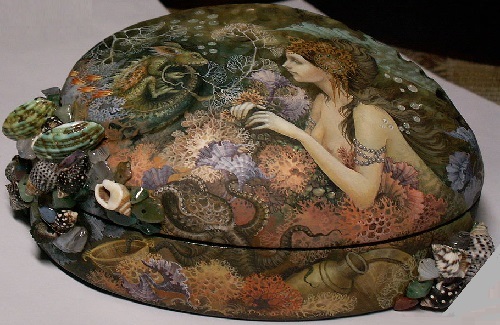 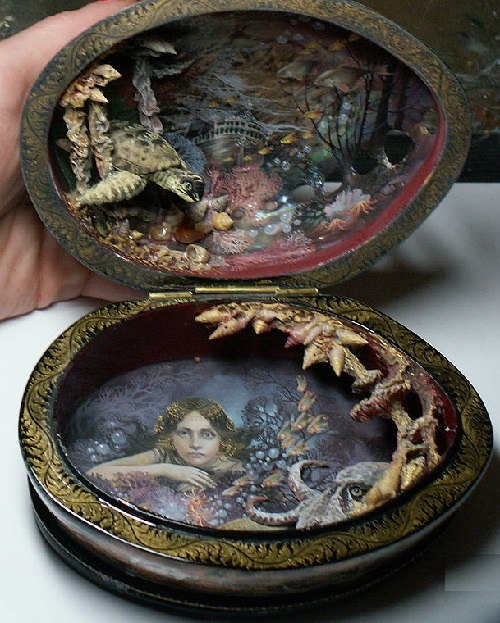 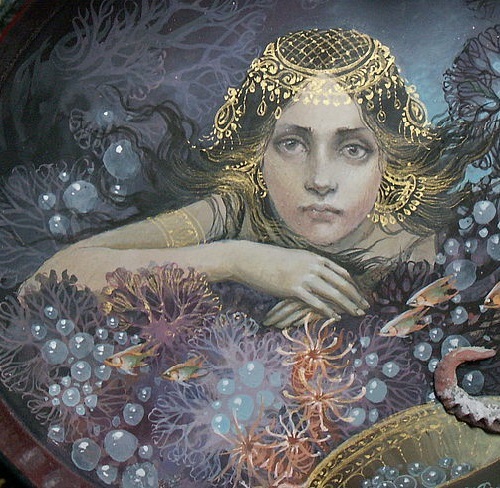 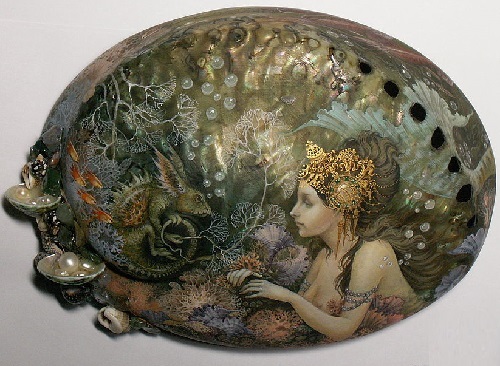 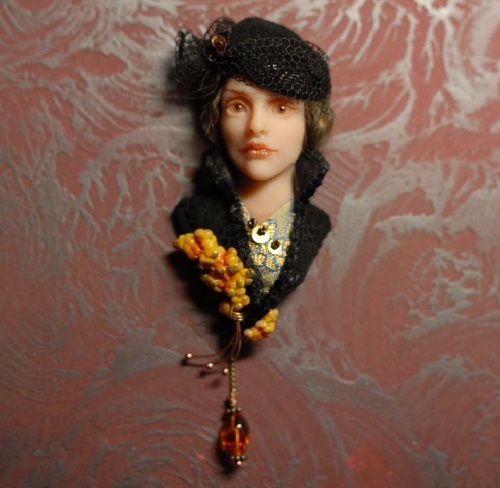 Russian artist, jeweler Alyona Abramova is a master of lacquer miniature. 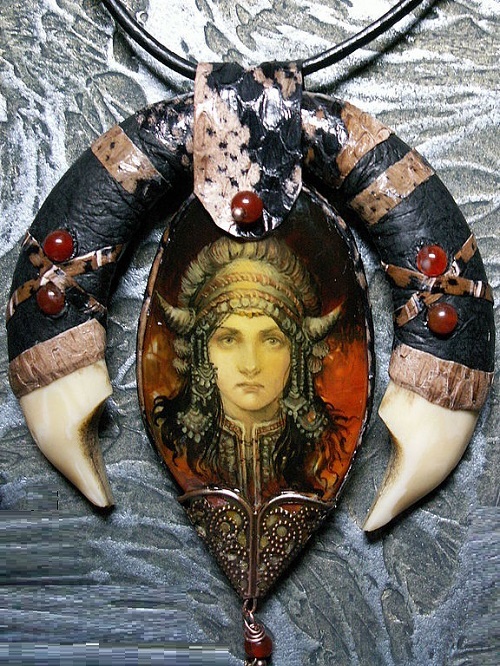 She graduated from Kholuy art school named after NN Kharlamov in 2004. 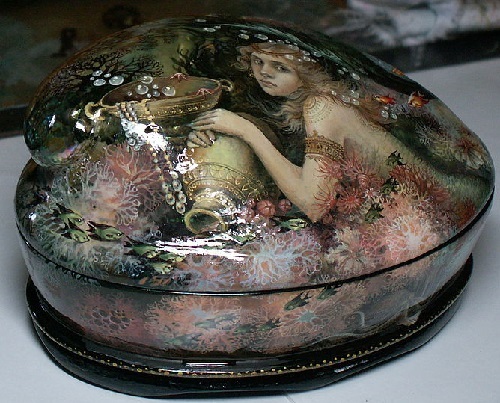 Kholui – famous in Russia center of traditional lacquer miniature. 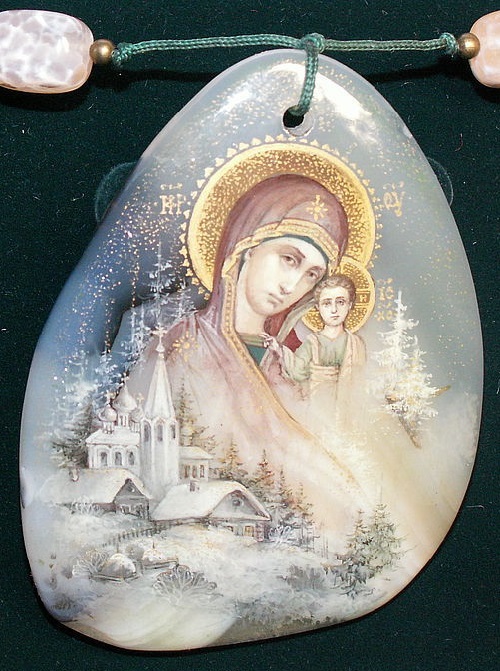 In the words of the artist herself, she fell in love with this little piece of Russia, who is still in awe of its silence and nature. 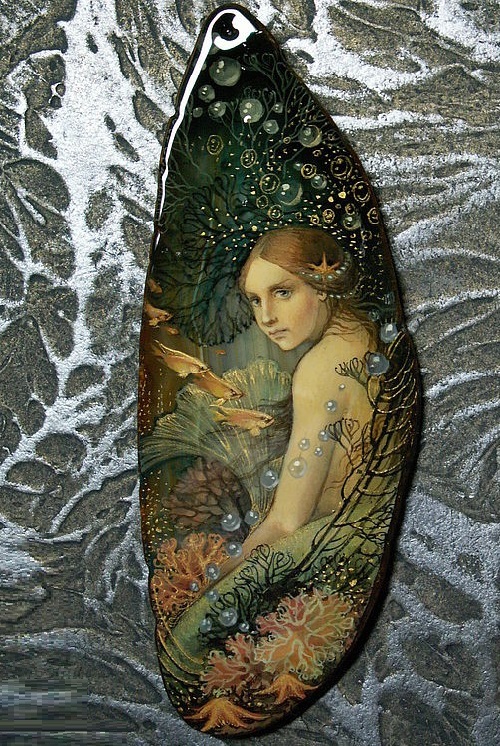 Nature and silence – the best teacher for the artist. 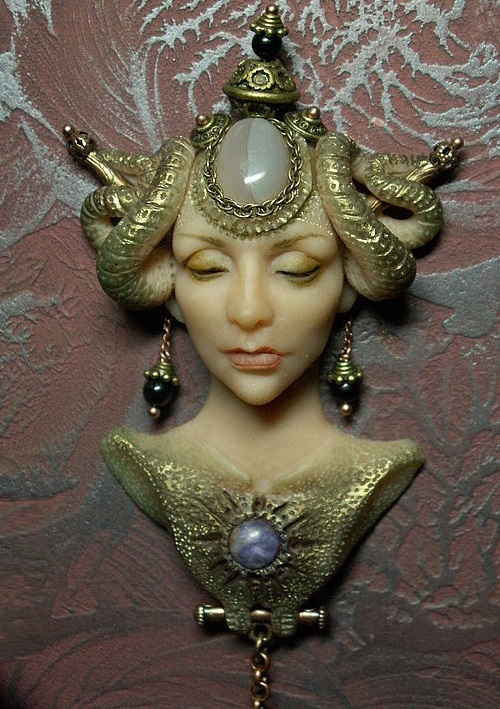 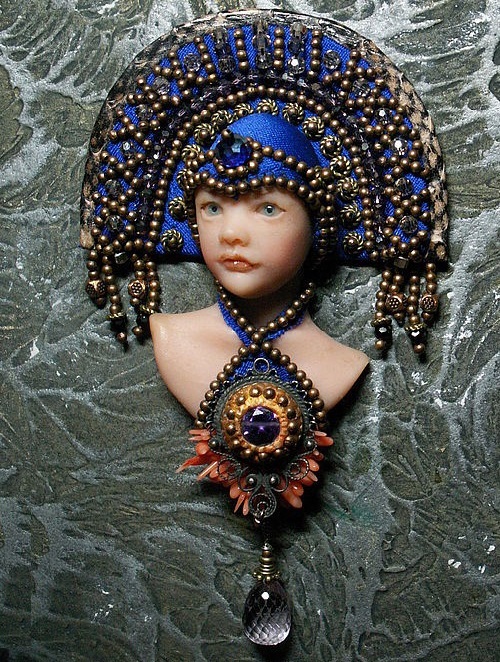 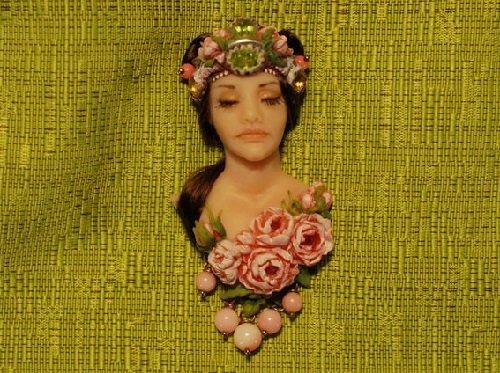 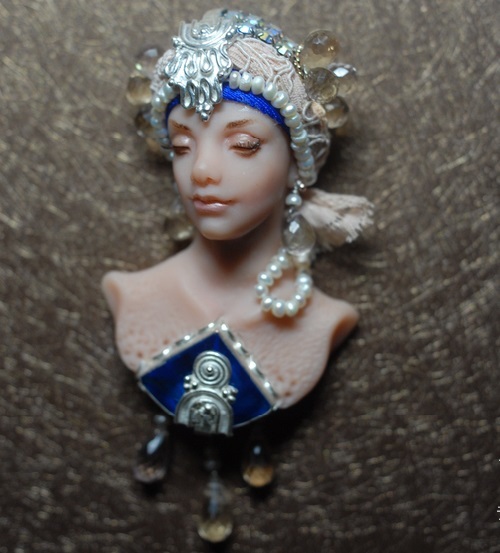 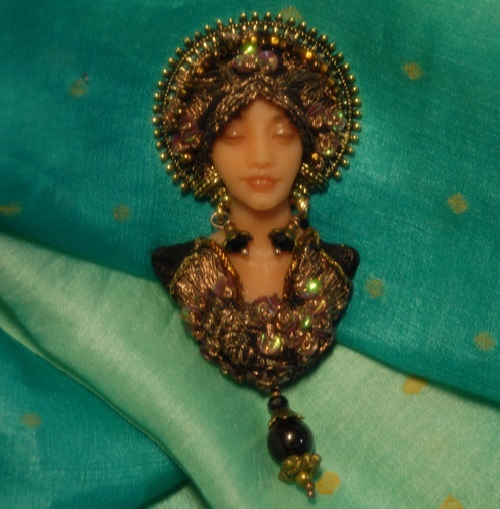 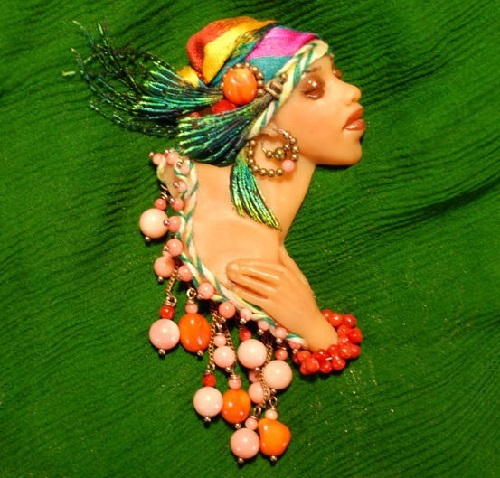 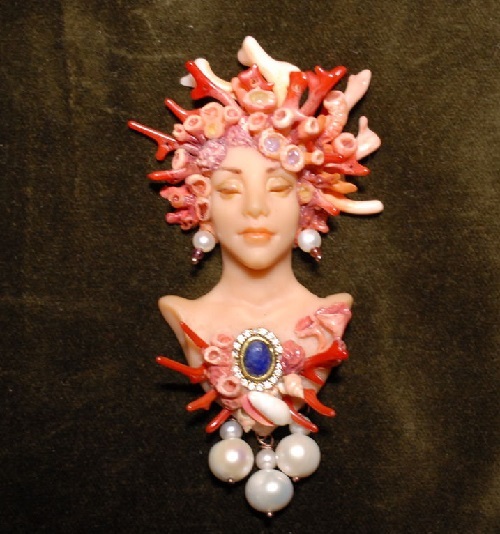 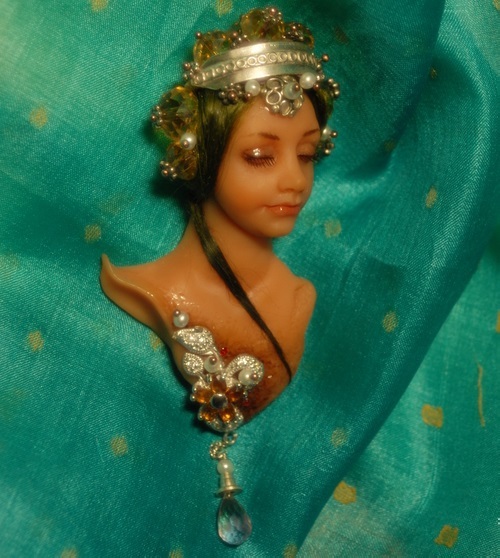 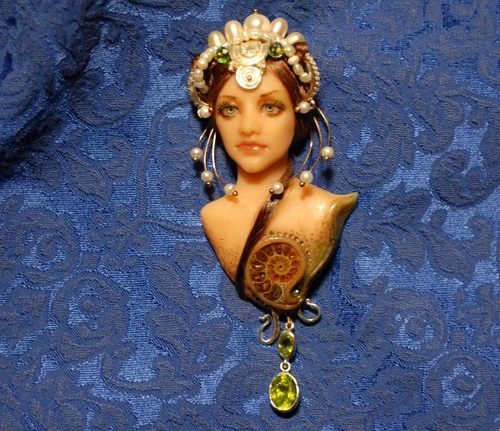 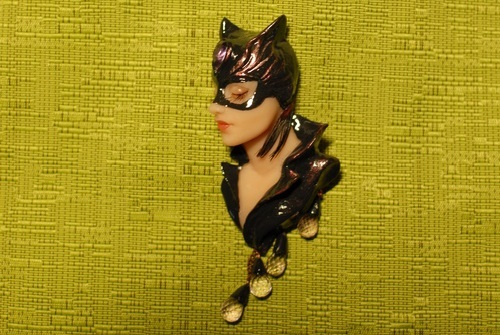 Brooches created by Alyona Abramova are truly unique, they can not be confused with the work of any other jewelers. 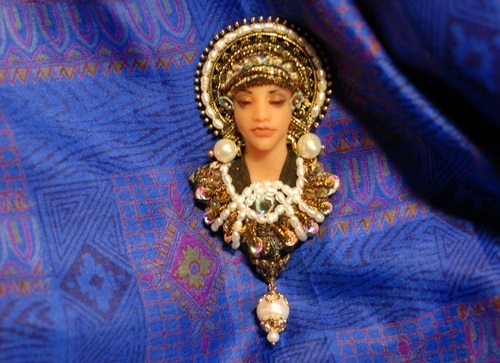 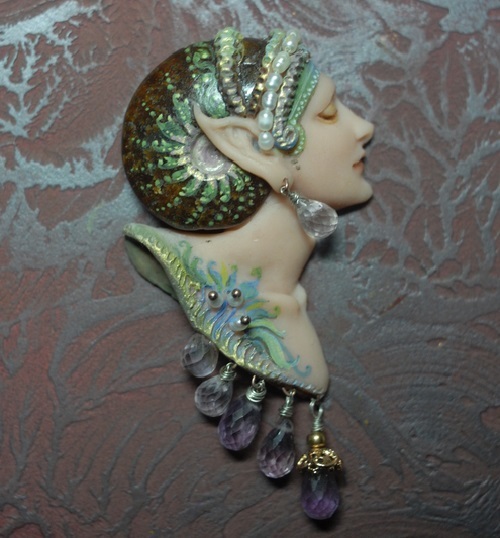 All jewelry – brooches, pendants, jewelry boxes are made by hand, using techniques of modeling and painting. 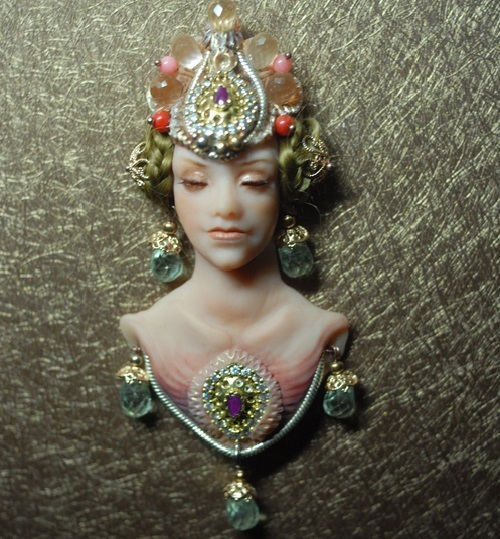 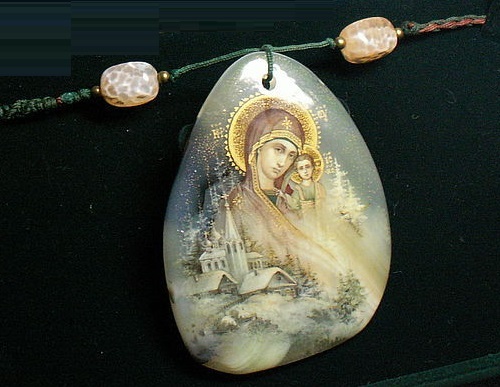 Materials used by the master – various precious and semi-precious stones, mother of pearl, gold, silver. 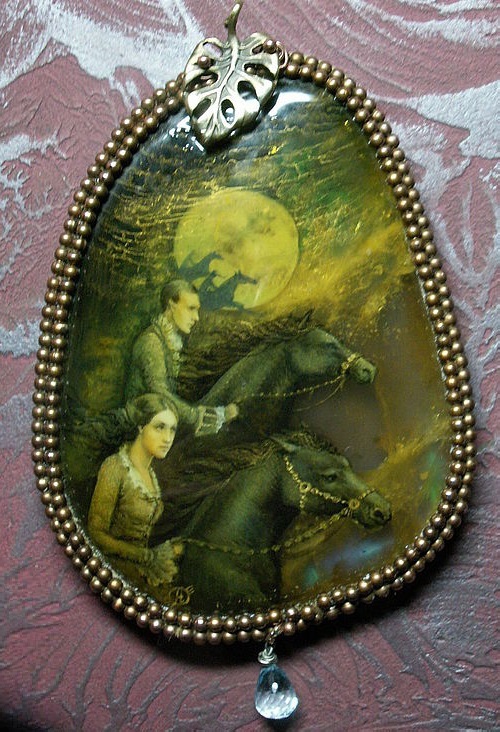 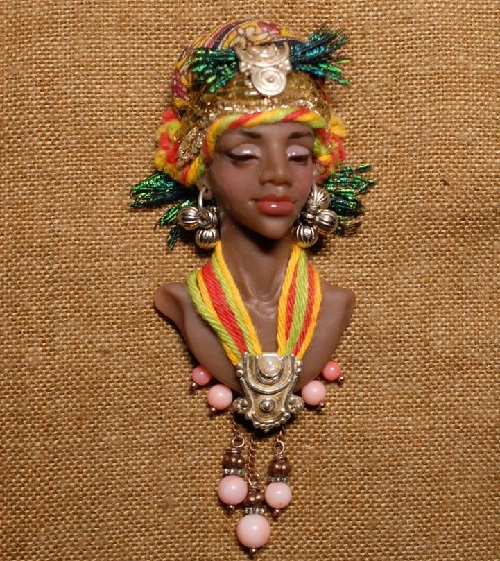 Pendant from the series ‘Master and Margarita’. 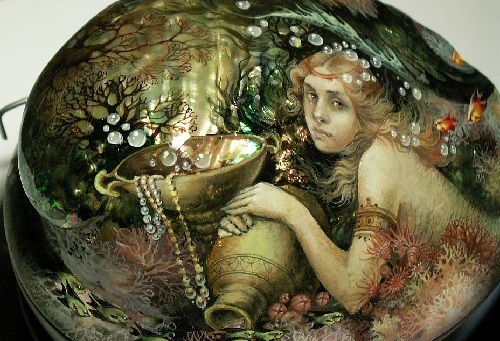 Scene of the beginning of the ball at Woland’s. 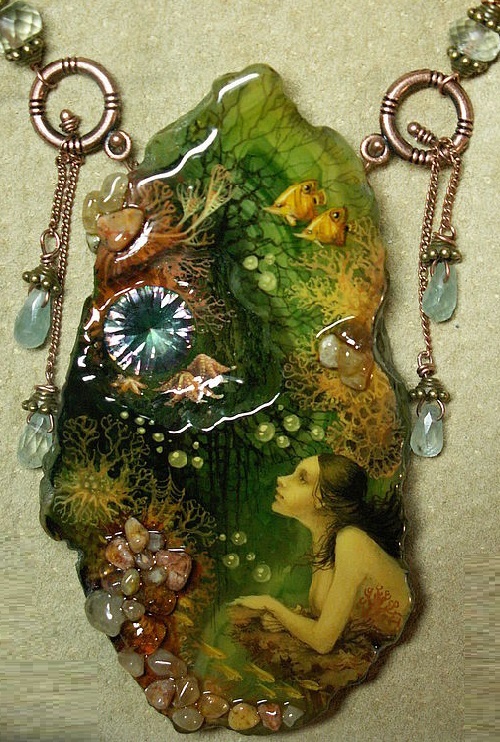 Pendant on a pink quartz lined, copper beads entwined in 2 rows. 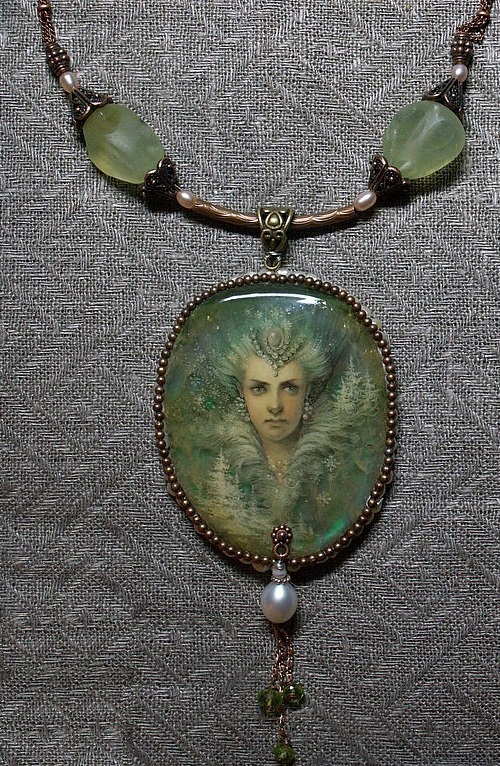 Suspension aquamarine and amethyst jewelry. 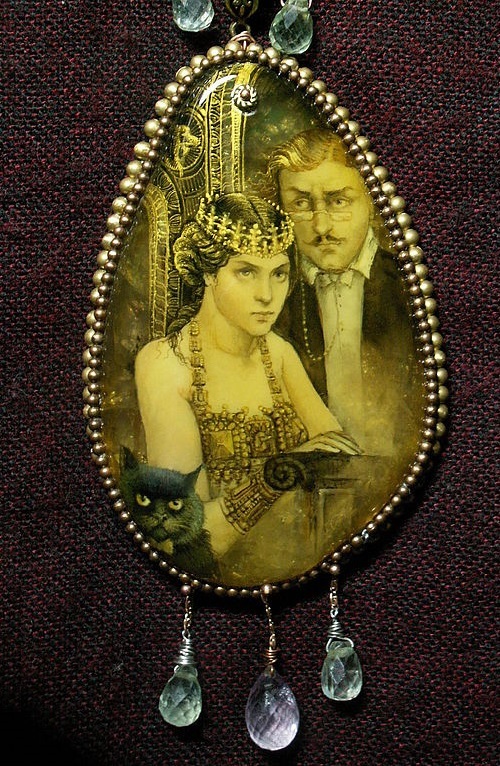 It looks like a solid old almost magical thing. 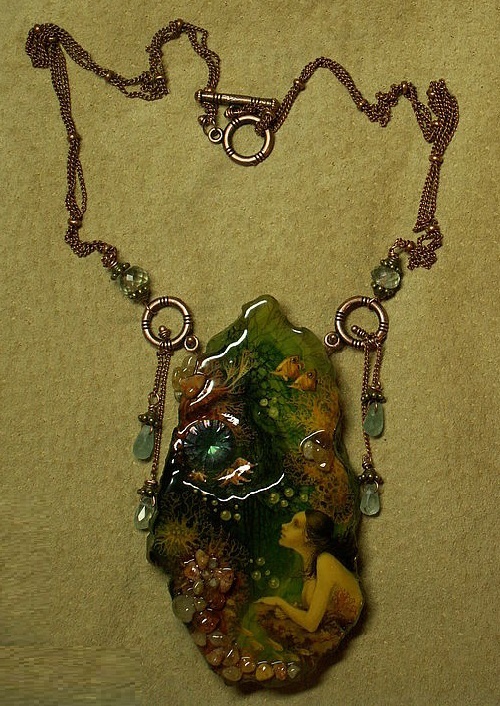 copper chain in 4 rows.